The Two Oceans Tuna Derby – one of the biggest and most anticipated fishing events of the year. 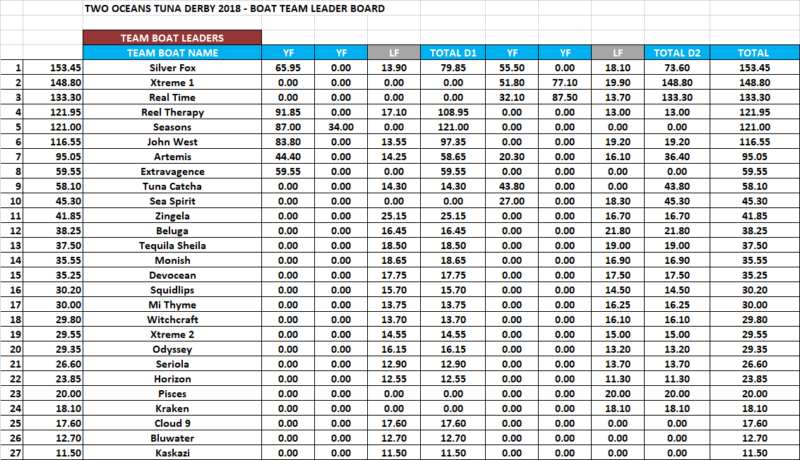 In the tuna fishing world, this derby is one of the best. Endorsed by Two Oceans Marine, it is has been running for fifteen years and it includes participants from all over the world. The event starts by the Atlantic Boat Club, in Houtbay harbor – but the fishing takes place round about 20 to 50 nautical miles ( 1,852 meters per nautical mile) offshore. Its duration is typically a week-long, although this year things had to be cut short because of weather conditions- allowing the fishermen only two days to compete. A fishing day during the derby ranges from 10 to 12 hours, starting early morning and coming back early evening. The prize system is based on value around quantity and quality- who caught what fish, the most fish, the heaviest fish. The derby is meant to be a showcase of skills nurtured through years of dedication, investment, commitment and practice exercised by anglers and fishermen throughout time. Moreover, if even by default, the derby has brought, and continues to bring awareness towards the sport – and inherently with it, it forces participants and spectators to wonder about the state of our fish and our oceans. Whilst tuna fishing is promoted during warmer months, the sport is known to be one of South Africa’s top aquatic sports attraction. 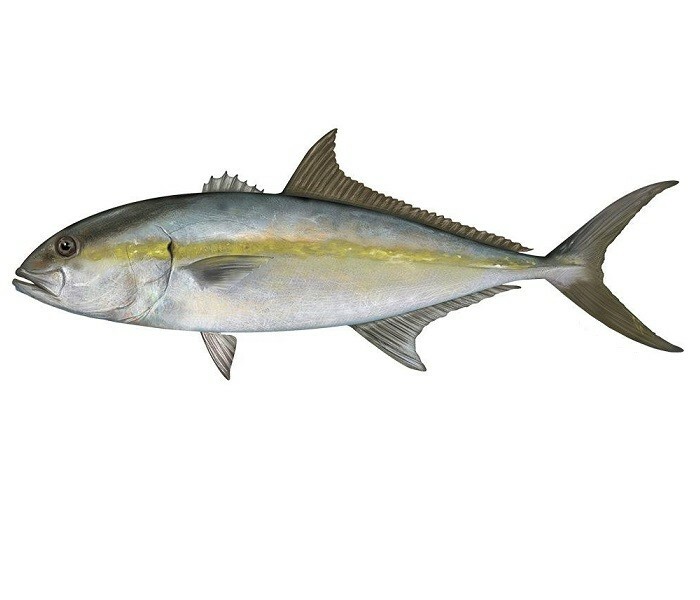 The most petite and delicate of the tunas, the Skipjack is the pinky of the tuna family (also referred to as the chicken of the sea). With relatively few scales, its colors vary from dark purple to silver. During the day this species tends to swim deep down in the ocean but rises towards the sea surface during night time. 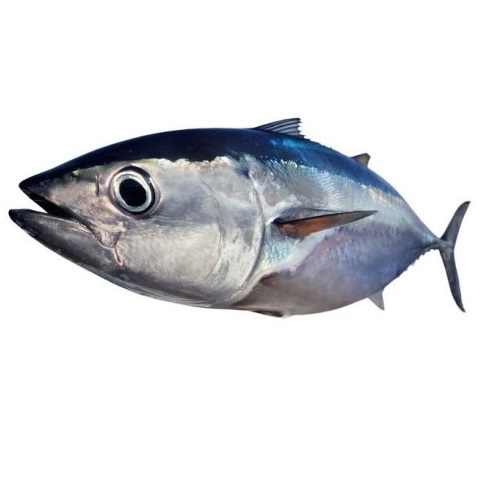 Its taste is quite pronounced – some compare it to Yellowfin Tuna. This fish has very long pectoral fins that allow it to swim at 80km\hr ( hence ‘ Longfin’). It is metallic dark blue on the back, and silver and white on its belly. It can live for over a decade. In terms of nutrition, Albacore tuna is low in sodium and is a good source of vitamins A, B12, selenium and niacin. These fish travel enormous distances and in relation to their big size (15kg to 100kg). They are considered one of the fastest oceanic pelagic fish. Not the easiest to catch – but worth every effort. You can catch this fish at 500 to 1000m deep in water, and it is one of the strongest tuna out there. It can weigh 45 to 122kgs, and it swims in deeper waters than its Skipjack and Yellowfin cousins. Its colors range from silver to white to blue – its mass and big eyes are the easiest distinctive factors when wanting to spot them out. A target for the palate and for the challenge, this fish is a favourite. Its typical weight ranges from 5 to 10kg, although it can get bigger. They can be mostly caught during the months of March, April, May, October, November, and December. 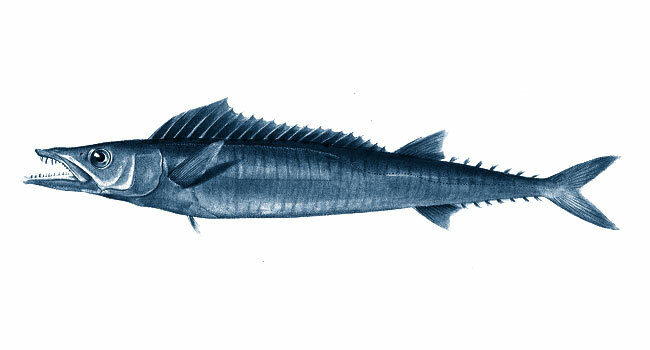 This fish is famous in the Cape and is regularly eaten in many households around the Cape. It weighs normally up to 9kg and it can get to around 2 meters long. It is mostly found in temperate coastal and offshore waters. FALSE BAY, CAPE PENINSULA, ROOIKRANS, KOMMETJIE BAY, MELKBOSSTRAND, LANGEBAAN, JACOBS BAY and HOUT BAY. 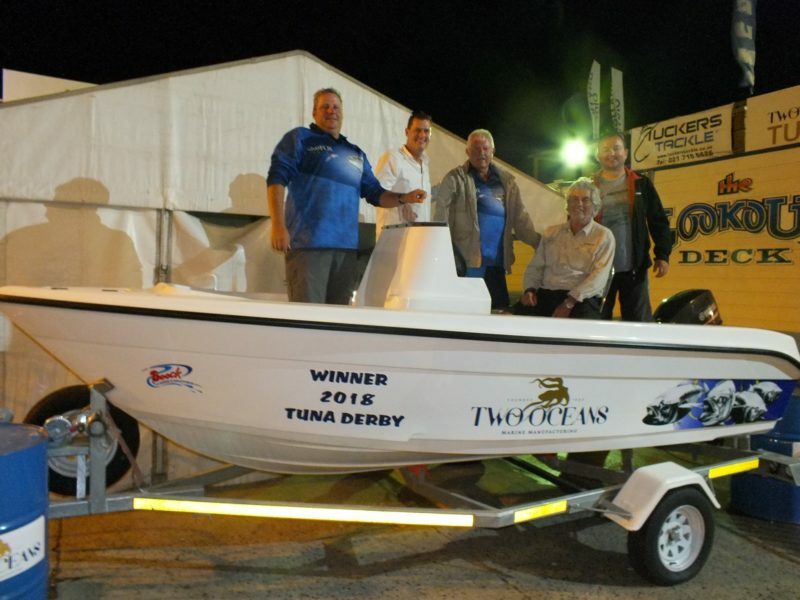 The Silver Fox team from Botswana is the winner of this year’s Two Oceans Tuna Derby. First prize? A boat! If you want to find out more about the Two Ocean Tuna Derby, check out its list of rules and regulations – or go on their website to find more. Images provided by the Atlantic Boat Club.